The Wreaths Across America ceremony is scheduled for 10 a.m. Saturday, Dec. 15 at Sarasota National Cemetery. 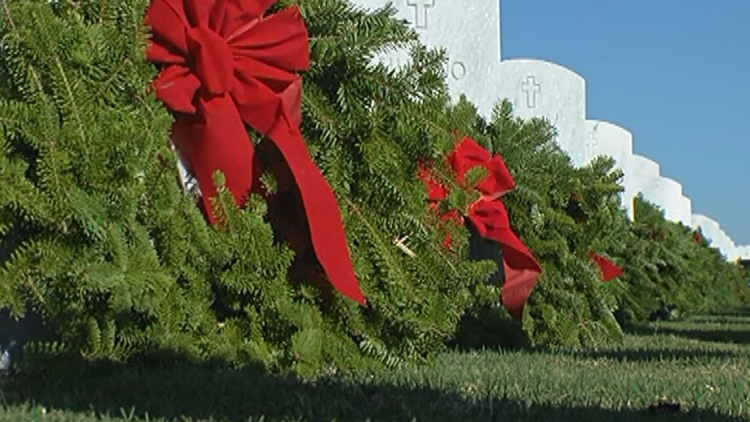 SARASOTA, Fla. –Wreaths Across America is asking for help as it gets closer to reaching its goal of laying wreaths on all the grave sites at the Sarasota National Cemetery. WWSB reports Sarasota branch of the organization needs to collect enough money for 1,500 more wreaths. The organization will place a total of 13,500 wreaths at grave sites and at the section of where cremated remains are located at Sarasota National Cemetery. Go to Sarasota Wreath’s website for more information.